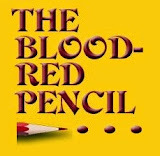 Blood-Red Pencil: Whisky or Whiskey? I Need a Drink! Whisky or Whiskey? I Need a Drink! 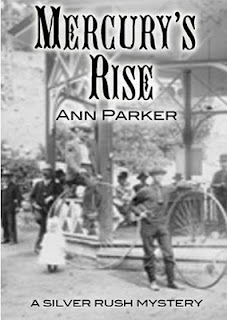 First, thank you to the Blood Red Pencil for hosting me for this stop on my two-week-long virtual tour for Mercury’s Rise, the latest book in my Silver Rush historical mystery series. Truly, I have to thank BRP for more than that, because it was BRP’s Dani Greer who helped me out of a tight spot regarding word usage in Mercury’s Rise. It all began with whiskey. And whisky. 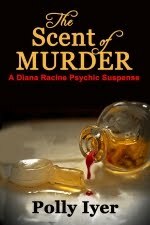 I had taken great pains to determine under what circumstances my protagonist Inez Stannert would use which term. 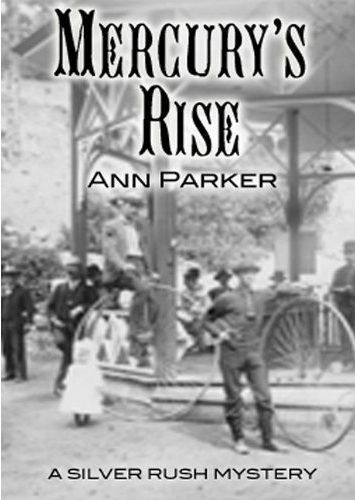 After all, Inez runs a high-class saloon in 1880s Leadville, Colorado, so she would certainly know the difference. 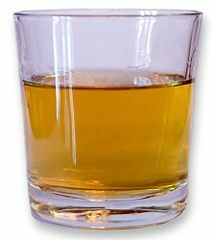 My conundrum began when the line editor at my publisher, Poisoned Pen Press, noted that some places in the manuscript were “whiskey” and others read “whisky.” Which is correct? she asked. I sent her a long reply (with links!) noting that they weren’t the same. (New York Times weighed in here and The Boozin’ Blog had a discussion here.) But I began to worry that switching between the two might lose the reader. So, I turned to Dani—good buddy and my independent editor—for advice. Even so, it was a tough call for me to make—be correct or be consistent? I dithered and vacillated until the associate publisher of Poisoned Pen Press took pity on me and made an executive decision. What did she decide? Read Mercury’s Rise and find out! I’ll say this: by the time we’d finished going back and forth, I think we all wanted a drink! 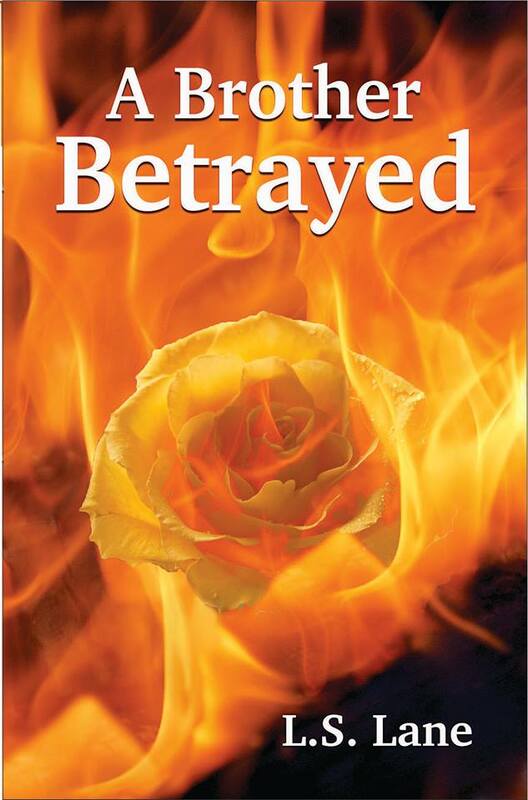 More to the point, dear BRP readers, what would you have done, if you had to make this decision? And why? Leave a comment on this post to be eligible to win a Silver Rush mystery prize! Winner will be announced later this week. 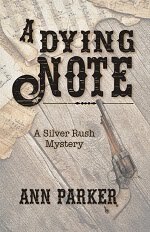 To see the rest of Ann’s blog tour, check out her Appearances page. Winner is Larry Constantine (Lior Samson)! Please contact Ann Parker by emailing her here. Ah, the dilemmas we writers (and editors) face. Although the decision has obviously been made, I'll weigh in here as a reader, just for fun. If both spellings were to be used, it could appear that one or the other was a typo that wasn't caught in the editing process. As that reader, I always appreciate consistency — unless the consistency is a misspelling, at which time the editor in me raises her shaking head, does a double take, and reaches for her blood red pencil. Nice article, Ann. Thanks for posting this one, Dani. That’s a great question, and definitely a tough call. Do you cater to the reader’s possible ignorance (I don’t mean that in anyway as an insult, no one knows everything, so we’re all ignorant in certain subjects), or do you stick to being technically correct and risk losing a certain percentage of readers due to confusion? It reminds me of my first manuscript—that ended up languishing on my hard-drive, in some limbo between rewrites. It was set in ancient Rome, and in a scene I had an off-hand comment about a toilet. I got several comments from Beta-readers and critique partners basically stating: “They didn’t have toilets in ancient Rome!” Well actually they did, and a quick Google search will show you that many of them—through use of their aquaduct system—even had running water to carry the waste away. But I realized I wouldn’t be able to send my research materials to everyone who read it, and it would appear to a percentage of readers as a glaring anachronistic misstep. I ended up moving on to another book though, and never actually came to resolution to that particular problem. Ann, I have faced similar tough calls. To me the deciding factor is whether or not the differences are likely to take the reader out of the story or would enhance the sense of verisimilitude. I'm with Linda that a likely reaction is to see one or the other spelling as a typo. However, context setting helps. If a scene is set in Australia with Australian interlocutors, use of British/Aussie spelling and expressions adds to the experience and is less likely to jar the reader. On the other hand, if it's unclear why spelling and idiom keep flip-flopping, the effect is likely to annoy or confuse the reader. E.C. raises a variant issue that also presents interesting challenges to the writer. Without risking introducing an expository lump, I would try to find a way to educate the reader within the context of the story. "Brutus was shocked by the primitive state of the house, which must have been built long before toilets and running water had been introduced in the reign of..." Or something better thought out, with more elegance and literary merit. I face this all the time with providing the technical background for the non-techie reader of my thrillers. Finding smooth and unobtrusive methods to inform is a constant challenge. Sometimes, dialogue, particularly between a savvy character and one expressing ignorance, can work; sometimes a short narrative voice-over can be slipped in; but variety and inventiveness are needed to sustain the flow for both the neophyte and the already informed. I vote for accuracy - always. Whisky is scotch. Whiskey is American whiskey and Irish whiskey. Bourbon is not whiskey. Rye is. It would be inaccurate to have someone order or be drinking scotch and call it whiskey. Or someone drinking Jack Daniels, which is whiskey, and calling it whisky. A good reader (and we hope for those, would be stimulated (if he or she didn't already know the difference) to look it up, rather than assume from the start it's an error. A bad reader doesn't care anyway. When you start playing loose with facts, a good reader is going to stop trusting you as a writer. You could make use of a footnote the first time the difference appears? But more to the point, we live in a digital world -- an eBook version will have the ability to highlight the word allowing the reader to click the link to find out why there's a difference. However, I'm the last person to suggest a book filled with links, clips, sound bites, etc. That would annoy me as a reader and I find it one step away from creating a different type of work less literary. I learned something just reading the comments! I have had the same problem of spelling in a western historical mystery I'm writing where one of the characters is called Whiskey Jack. Now I know I'm right--although his preferred alternative was opium, not whiskey! Good column, Ann and Dani. You are so right about consistency. That is so important for a writer. 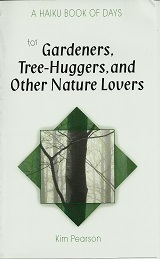 I've noticed that some authors use odd spellings of names we are familiar with, but that works if they are consistent. The first time I see the odd spelling, I may stop for a second, but then it's okay because I know it is on purpose. For Heaven's sake, all the poor woman, covered in vomit and blood, wanted was a strong drink. She was sure to get it whatever the spelling. Consistency is the thing, especially when either spelling will do the trick which, in this case, I believe either would be correct! Great fun, Ann and Dani. I've been drinking whisky for almost 40 years and never realized someone stole the "e". Guess that is easily overlooked when you are more interested in sipping than reading labels. As a reader, it probably would bother me more that the "e" kept disappearing than in being accurate. Working the research into the text would work too. My publisher (and Dani) also said consistency is key... and as long as we don't know in detail what drink Inez is craving (by name or region), well, who's to know?? Wow... I had noooo idea that the Romans were so advanced with their plumbing! I probably would've said the same thing as your critiquers/Beta-readers. And unless those toilets play a key role in the story, I suppose you can't really go into great detail about it all. Hmmm. "Finding smooth and unobtrusive methods to inform is a constant challenge. Sometimes, dialogue, particularly between a savvy character and one expressing ignorance, can work; sometimes a short narrative voice-over can be slipped in; but variety and inventiveness are needed to sustain the flow for both the neophyte and the already informed." And I'm guilty of getting all excited over the "perfect" word or bit of slang, using it without checking, only to find out later it dates from the 1920s! I think these bits of "old-fashioned" language must come from things my grandparents said, because they just FEEL right. Sometimes, going with the gut (on language issues) isn't such a smart move. Whiskey Jack... what a great name for a character! Thanks for commenting, and I wish you all the best with your writing! Thanks for commenting and for your vote re: consistency! I try to go with British English most of the time but Microsoft dictionary can be quite annoying. Here's the really sad thing ... this old dyslexic would have never spotted the inconsistency ... sigh, give me a shot of Red Eye. Ah yes, Microsoft Word is the enemy! I hate those little red squiggly lines. Well, you have nothing to worry about, as it should all be consistent in MERCURY'S RISE. Choose one for consistency with an explanatory note for punctilious readers. Larry Constantine is the winner of the mystery drawing - please email Ann at the link we've added to the bottom of the post. Thanks all - it was a fun tour stop! I had no idea there was a difference between whiskey and whisky. Thanks for educating me! Wouldn't POV make a difference? If the historical character is writing in first person, the spelling would be the one s/he would know. I ran into a POV/spelling issue the other day in my editing. The first person narrator meets a girl named "Lilly"--in person, and she does not spell out her name, and he has no reason to ever see it on paper. So it seemed to me more logical that he would choose to use the traditional spelling, "Lily." I agree with Kathryn. If there's no difference in pronunciation then choose a consistent spelling. If the character is reading a label, on the other hand, then you might need to specify. But it's worth remembering that dialogue is "spoken" and go with what the characters are hearing, not reading. "Wouldn't POV make a difference? If the historical character is writing in first person, the spelling would be the one s/he would know." Oooooh, that's a very interesting point! I recall a scene of a writer-friend, in which a guy is chatting about the sport of parkour, but the (first-person) narrator thinks he says "Parker" (as in a name). How would you spell this troublesome word in a bit of back and forth dialogue that might go like this? He said to me, "You've heard of [parkour]?" I frowned. "[Parker]? Who's that?" Amazing post. Thanks for it.